Here are 4 of the finished Embroidered Christmas Cards that I told you about recently. Elizabeth will be making 8 altogether, but I wanted to show you these just in case you were looking for a quick and easy, yet handmade and pretty, greeting to give to someone special this Christmas. 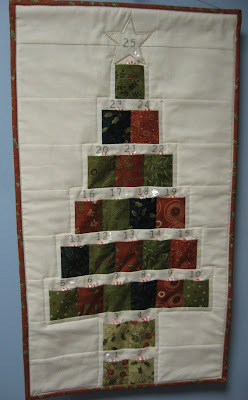 After pricking the design onto the colored card stock from a computer printed original as shown in the previous post about this, Elizabeth backstitched the "Merry Christmas" greeting using two strands of sparkling gold sewing thread. She then attached the embroidered card stock to a pre-folded card and attached some cute 3 dimensional stickers to each card. Each of her cards has different stickers on it, some particular to the person receiving the card. This reindeer just cracks me up! His nose is actually a pom pom! Elizabeth is so clever sometimes. The ornament in the corner of this card is actually hanging on the stitching of the "C" in Christmas. I would never have thought of doing that! These cards are just an example of how easy it is to embroider on paper and decorate a card for a fun and festive greeting. Even crafty minded children could do something like this from their own drawing or writing. 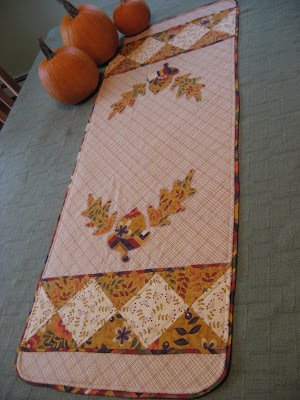 The key is to evenly prick the holes before you start to stitch. Give it a try and see what kind of masterpiece you can come up with this Christmas.